Film trailers are like hyperactive microcosms of the movies they herald. Their formal compression and immediacy makes these mini-films terrific laboratories in which to explore how musical structure can serve expressive ends. But trailer music isn’t just shrunken down movie music. It speaks its own dialect, a kind of “trailer-ese.” This style is characterized by two aesthetic imperatives: concision of detail and overemphasis of affect. Trailer-ese has received some recent musicological attention, especially in the Trailaurality project , led by Carleton University musicologist James Deaville. This is a welcome development: in a world where major motion pictures receive months or even years of aggressive, expensive promotion, a minute’s worth of trailer music can carry immense responsibility. Every note matters, and every pitch is tailored to ensure that viewers leave informed, excited, and anxious for more. The biggest movie opening of 2015 will almost certainly be Star Wars Episode VII: The Force Awakens. Since November 2014, three official trailers have been released and subsequently viewed in staggeringly high numbers. Despite its sci-fi trappings, the Star Wars franchise has always traded in a concertedly nostalgic—and to critics, reactionary—tone. Nostalgia sells, and the three previews for Episode VII have all played cannily into audiences’ fondness for the original trilogy. 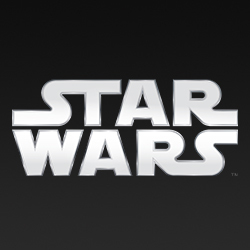 Nostalgia-as-product is most apparent in the trailers’ invocation of themes from the grand lexicon of Star Wars leitmotifs. John Williams’s music is inextricably linked to the franchise. Virtually all multimedia texts that take place within or advertise this fictional universe make obligatory allusions to his themes. Freshly composed music, however, has long been a rarity in Hollywood trailers, which tend to avail themselves of preexisting or library music. Indeed, of the three Episode VII previews, only the first features truly original music from the pen of the 83-year old composer. Williams’s active involvement drops off after the second trailer, and the contributions of other artists increases. Yet the music is still fresh, and those leitmotifs nevertheless continue to be featured front and center. In each preview, Williams’s recognizable melodies are offered as a kind of nostalgizing payoff, something awarded to the listener after a span of thematically ambiguous material. For example, the initial teaser is primarily occupied with a jagged, abstract style of tension-music that frequently crops up in Williams’s recent writing for action scenes. But at the end, it teases us with the unmistakable first 11 (and last 2) measures of the series’ brassy Main Theme. In comparison, the second trailer barely holds out on the audience at all. Only a brief celesta and string cluster-chord is needed to pique our interest before a new arrangement of the Force Theme is performed by solo French Horn—a likely allusion to the iconic “Binary Sunset” scene from 1977’s Episode IV. The intended sentiment for audiences is made explicit by the aged Han Solo at trailer’s end: “We’re home.” As reaction videos featuring jubilantly weeping fans confirm: massive overemphasis of affect has been successfully achieved. Trailer three, despite not having been composed by Williams, is the most crafty in its deliberate withholding and eventual disclosure of familiar thematic material. The first thing we hear is a three-fold repetition an evocative, austere chord progression—more Arvo Pärt than the swashbuckling symphonism Star Wars audiences are used to. Conspicuously, the music is shorn of any melody to grasp onto. The progression’s origins are revealed upon the fourth, extremely loud phrase: they form the harmonic basis for the love theme between Han and Leia. Viewers completely new to the series will hear an as-yet symbolically unattached motif, but one nevertheless saturated with film-musical codes for romance and adventure. Seasoned fans, on the other hand, will immediately be drawn back into a vast musical network of specific associations and memories—a kiss, an escape, a reunion—that have lain dormant since the theme was last heard in theaters in 1983. While the manipulation (and manipulativeness) of themes in these trailers tugs the listeners backwards, there are signs of our current musical times too. This is most apparent in the increasingly obvious use of digital processing, and decreasingly “old-fashioned” sound to the trailers. In the initial teaser, it is evident at the level of mixing. For example, the final Bb major chord has its bass-end cranked up far higher than ever heard in previous recordings. The second trailer takes a further step towards contemporary digital practices, being full of musical “ sweeteners ” that are endemic in modern trailer-ese. These are mannerisms like exceptionally reverberant piano notes and indistinct bass thuds, injecting extra punch into Williams’s music like sonic steroidal supplements. The music of the final teaser is orchestrated and mixed in a markedly different way than the first two. Maximum volume and density at all times appears to be the desired impact, at the pronounced expense of orchestrational clarity. Far more in-line with practices of Hans Zimmer and his epigones than of the original model of Golden Age Hollywood, trailer three sounds assertively and symptomatically “contemporary.” Observe the electronically overproduced textures, the crashing drums, the musicalized (mostly synthetic) sound effects. For better or worse, here, the Star Wars musical idiom is for once not pure symphonic throwback. Being a music theorist in addition to a film musicologist, I often find myself drawn to matters of musical structure that might escape conscious recognition by filmgoers. In particular, I find screen composers’ use of tonality fascinating. Take, for example, what goes on in the third trailer. Of the lot, it is the most conventional and, I dare say, “coherent.” It begins and ends in the same key (E major), which is positively not the norm for most film music. Particularly cinematic is the way in which the musical cadences are coordinated with other formal parameters to manipulate our expectations at a moment-to-moment pace. The cadential gesture right before the trailer’s conclusion is textbook trailer-ese. The Force Theme’s penultimate chord does not resolve directly, but is separated from its target tonic by a gulf of pregnant musical silence. This negative space provides just the right room for the line, “just let [the force] in,” to send extra chills up your spine. The other trailers, by contrast, are object lessons in how truly little the maintenance of a single key matters in screen music, when it is emotional impact that filmmakers are after. The initial teaser’s big musical reward is a rendition of the Main Theme in its accustomed key of Bb, coming on the heels of a minute of slippery atonality. But time runs short, too short for the melody to come to its natural close. So the trailer simply holds onto its second-to-last chord for an extra long time. The otherwise intrinsically inconclusive F-major garners a dramatic dip and swell in volume, and then snaps shut with a huge tutti chord. In instrumental music, that is the paradigmatic gesture of piece-ending closure. But it has nothing to do with how meticulously the final tonic had been earned. It is through sheer force alone that the teaser is able to impose a sort of tonal closure. Something even more weird—and emblematic—takes place in the second trailer. First, Williams unsettles the Force Theme by means of a newly composed interpolation between the theme’s antecedent and consequent. The portentous insertion also modulates the theme mid-phrase, shifting it from F# to G# minor. As musical urgency increases, the Force Theme gets stuck on its most powerful and climactic chord, E major, the diatonic submediant. That triad’s increasingly emphatic repetitions (and lydian colorations) actually begin to imbue the music with a feeling of stability—despite the complete absence of thematic closure. Williams’s journey to the flat side of tonal space is complete when the climatic E major gets its own flat submediant! And, by that point, the music has actually segued into a restatement of a notably triumphant cue from The Empire Strikes Back. Does it matter that we’ve landed in a different key than we began? I’d argue no. But is it relevant how that shift was accomplished by a series of dramatic, intensely expressive harmonic transformations? Absolutely. Screen-based multimedia generates the largest repertoire of instrumental music that is routinely heard by today’s listeners. Whether a two hour film with wall-to-wall scoring or a 50-second teaser with a jumble of pieces and styles, this is music of great cultural relevance—and no small amount of analytical interest to boot. Understanding the tricks and habits of “trailer-ese” is, I believe, just one way to examine what it means to hear with 21st Century ears. Frank Lehman is an Assistant Professor of Music Theory at Tufts University. His work on chromaticism in film music will appear in a forthcoming monograph with Oxford University Press. His article on John Williams and political mythmaking is forthcoming in the next issue of Journal of the Society for American Music. Website HERE . On this point, see Buhler, “Star Wars, Music, and Myth,” in Music and Cinema, ed. James Buhler, Caryl Flinn, and David Neumeyer (Hanover: Wesleyan University Press, 2000), 33-57 and Lerner, “Nostalgia, Masculinist Discourse and Authoritarianism,” in Off The Planet: Music, Sound, and Science Fiction Cinema, ed. Philip Hayward (Bloomington: Indiana University Press, 2004), 96-109. Compositional attribution is always tricky with film music, but now researchers can use resources like Facebook, Twitter, and enthusiast websites (in this case, JWfan.com) to track down whom is responsible for what. In this case, the second trailer appears to have been composed and arranged by Williams, with minor contributions from Felix Erskine. The third trailer is ostensibly not Williams’s doing at all, being half written by Confidential Music, and half by Frederick Lloyd. The fact that the Main Theme’s subphrases invariably end with half-cadences complicates matters further. Buhler (2000, 37) makes a related point concerning the theme’s intrinsic inconclusivity. Thanks, Frank, for a wonderfully eloquent and insightful reading of these trailers. I find it interesting that the interpolation in the Force theme in the second trailer uses a kind of compression (and slight variation) of the theme's harmonic progression: i-(VI6)-i-IV, VI-Vsus-V. That VI6 is one of the varied "harmonies" (could also be viewed as a neighbor tone atop the G# minor chord), and the Vsus is a slight variation of the V6/4 chord near the end of the original theme. The length of each chord doesn't necessarily match up with the original, but the harmonies really seem to. Thanks Mark, that's a really wonderful observation, and well in keeping with the harmonic deconstructions Williams occasionally subjects his leitmotifs to in both trilogies. I had been hearing the interpolation you mention through some other models, notably the funeral music from the prequels. Same key, same i<=>VI6 motion, similar orchestration & texture, similar suspensions, and in Ep III, similar adumbration of the Imperial March. It's also possible this is drawing on the obligatory "epic" i-VI-IV-i progression that other film musicologists have begun cataloguing in contemporary multimedia. In any case, quite a lot of meaning crammed into a fairly simple chord progression! Dr. Lehman, I'm new to your work via this piece. As a composer and SW/JW fan who caught all of the three trailers' harmonic moments you detail, I enjoyed reading about them and your analysis of their context and meaning. Thank you! I hope to read more. Re harmonic deconstructions, that i-VI6(5) with its clashing minor second is not only a notable transformation of the Force theme but what seems to me the quintessential Williams harmonic item (ex. about 1 min into the Main Title from The Fury). I almost felt the absence, however, of the Neapolitan substitution in the Force theme from Ep III when watching these new trailers. It had its own context, of course. Lastly, my favourite "adumbration" of the Imperial March in the prequels is in the Sith Spacecraft cue; it's almost a quote. You're right about the m2 clash between ^5 & ^b6 (and relatedly, ^7 and ^1) being a characteristic Williams touch. It's all over the Star Wars franchise and also many films, especially from late 70s/early 80s (Jaws 2, Dracula, Ghost Train & ET come to mind immediately). That pattern is closely related to another Williams quirk I imagine you've noticed: ^b6<=>^#4 over a tonic bass -- which forms the melodic spine of a number of Williams "spooky" motifs from Harry Potter, Tin Tin, etc. I also wonder if the Neapolitan flavoring of the Force Theme will return in Episode VII. It was such a welcome (and surprisingly systematic) change of harmony in Episode III -- though if memory serves, it makes at least one appearance in the original trilogy, when Vader tosses Palpatine in ROTJ. That is a great unreleased cue, I've never heard it before. After I left the comment above, with the intervals that accompany Palpatine's fall in my head I realized they are the same as the opening of the Family Plot theme. Another (sort of) spooky motif. I can imagine the original trilogy thematic references in TFA will be sparing but with potential for interesting transformations. Good point re: Family Plot's unsettling main theme. Short, high trumpet tags are not uncommon ways that Williams punctuates suspenseful cues. For ex., the b-minor section of "The Tide Turns" from Episode I, and the ends of "The Face of Voldemort" from HP1 and "Anderton's Great Escape" from Minority Report. There's a particularly clear version of the intervallic cell in this form in "The Axe Falls" from HP3. This sort of ^5-^6-^b7-^#7 spanning motif seems to me a nice middle-ground between octatonic melodic content and dominant/hexatonic harmonic content. But we've digressed quite far from the topic of "Trailer-ese" now, haven't we! If you'd like to keep discussing, feel free to email me (frank.lehman@tufts.edu). That's a terrific video and interesting interpretation, gsmaestro, thanks for sharing. I find it telling that the third (and now fourth!) trailer is scored in such a way as to encourage this specifically *musical* kind of speculation about plot elements, character dynamics, etc. I wonder if this enticement to speculation--which is of course also a marketing strategy--would be possible for other franchises, ones that might not have such a rich, preexisting vocabulary of musical symbols to draw from. Or, relatedly, an interpretive practice among fans of reading themes *as* symbols to be decoded and labeled. Bonus points for the use of the phrase "in a world..." in the opening paragraph. Wow, thanks for pointing this out Julianne! The first half sounds like newly composed/arranged music by someone who has studied Williams's style pretty well. It seems to be heavily influenced by the musical structure of the second trailer: up until Anna Kendrick, it's based on the Force Theme, with a key-changing digression sandwiched between the first & second phrase. I like how, besides a few small visual clues, the only element that informs you what kind of product the commercial is advertising at first is the music. That tells you the reach of these themes!